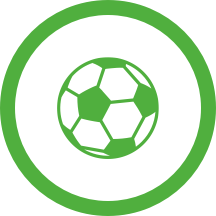 The 1 Fsv Mainz 05 - Freiburg (Football - Bundesliga) match in 05/04/2019 14:30 is now complete. It's 5 - 0 as the referee blows for full-time. 1. FSV Mainz 05 are too eager and fall into an offside trap. SC Freiburg's Florian Niederlechner gets in a shot on goal at Opel Arena. But the effort is unsuccessful. Sven Jablonski signals a free kick to 1. FSV Mainz 05 in their own half. Throw-in high up the field for 1. FSV Mainz 05 in Mainz. 1. FSV Mainz 05 have been awarded a corner by Sven Jablonski. Robin Koch is replacing Pascal Stenzel for the away team. Sven Jablonski signals a SC Freiburg throw-in in SC Freiburg's half. Sven Jablonski signals a free kick to SC Freiburg in their own half. Throw-in for 1. FSV Mainz 05 in their own half. The home team have replaced Robin Quaison with Alexandru Maxim. 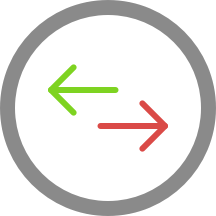 This is the third substitution made today by Sandro Schwarz. Karim Onisiwo instrumental with a fine assist. Goal! Jean Philippe Mateta extends 1. FSV Mainz 05's lead to 5 - 0 in Mainz with a header. 1. FSV Mainz 05 awarded a throw-in in their own half. Janik Haberer (SC Freiburg) gets in a strike but the shot is blocked by a defender. Great finish from Karim Onisiwo to give 1. FSV Mainz 05 a 4 - 0 lead. That's a fine assist from Jean-Paul Boetius. SC Freiburg drive forward and Nicolas Hofler gets in a shot. Without netting, however. Sven Jablonski awards SC Freiburg a goal kick. 1. FSV Mainz 05 are pushing forward but Jean-Paul Boetius's finish is wide of the goal. 1. FSV Mainz 05 make their second substitution with Alexander Hack replacing Niko Bungert. Free kick for 1. FSV Mainz 05 in their own half. 1. FSV Mainz 05 needs to be cautious. 1. FSV Mainz 05 have an attacking throw-in. In Mainz 1. FSV Mainz 05's Jean Philippe Mateta is caught offside. At Opel Arena, 1. FSV Mainz 05 are penalized for being offside. SC Freiburg are coming forward and Pascal Stenzel gets in a strike, it misses the target, however. Luca Waldschmidt for SC Freiburg drives towards goal at Opel Arena. But the finish is unsuccessful. SC Freiburg's Luca Waldschmidt gets his shot away but it misses the target. 1. FSV Mainz 05 have a goal kick. Luca Waldschmidt (SC Freiburg) wins the ball in the air but heads wide. Sven Jablonski awards 1. FSV Mainz 05 a goal kick. Free kick for SC Freiburg in the half of 1. FSV Mainz 05. Danny Latza (1. FSV Mainz 05) has received a yellow card from Sven Jablonski. Karim Onisiwo is replacing Pierre Kunde for 1. FSV Mainz 05 at Opel Arena. In Mainz, Jean-Philippe Gbamin of 1. FSV Mainz 05 is presented with a shooting opportunity. But the strike is blocked by the covering defence. Goal kick for SC Freiburg at Opel Arena. Throw-in for 1. FSV Mainz 05 at Opel Arena. 1. FSV Mainz 05 to take a throw-in in 1. FSV Mainz 05 territory. Can 1. FSV Mainz 05 get the ball into an attacking position from this throw-in in 1. FSV Mainz 05's half? Pascal Stenzel (SC Freiburg) goes close with a header but the ball is scrambled away by 1. FSV Mainz 05 defenders. SC Freiburg push forward at Opel Arena and Pascal Stenzel gets in a great header. The attempt is cleared by the 1. FSV Mainz 05 defence. SC Freiburg have been awarded a corner by Sven Jablonski. Sven Jablonski blows against 1. FSV Mainz 05's Pierre Kunde for offside. Vincenzo Grifo (SC Freiburg) goes for goal but the shot is blocked by an alert defence. Luca Waldschmidt is on a sub for Lucas Holer for SC Freiburg. Christian Streich is making the team's second substitution at Opel Arena with Florian Niederlechner replacing Mike Frantz. The second-half is underway in Mainz. 1. FSV Mainz 05 push forward at Opel Arena and Jean-Philippe Gbamin gets in a strike. This is blocked, however, by a determined SC Freiburg defence. Ball safe as 1. FSV Mainz 05 is awarded a throw-in in their half. Nicolas Hofler (SC Freiburg) gets a yellow card. Throw-in for 1. FSV Mainz 05 in the half of 1. FSV Mainz 05. Can SC Freiburg capitalize from this throw-in deep inside SC Freiburg's half? Pierre Kunde (1. 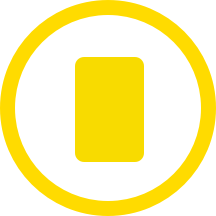 FSV Mainz 05) has received a first yellow card. 1. FSV Mainz 05 awarded a free kick in their own half. In Mainz a free kick has been awarded the home team. SC Freiburg's Amir Abrashi breaks free at Opel Arena. But the strike goes wide of the post. Goal kick for 1. FSV Mainz 05 at Opel Arena. Throw-in for SC Freiburg at Opel Arena. Important block from the 1. FSV Mainz 05 defence as Amir Abrashi fires in a strike for SC Freiburg. 1. FSV Mainz 05 take a comfortable 3 - 0 lead thanks to Jean Philippe Mateta. Great play from Aaron Martin to set up the goal. Ball goes out of play for a 1. FSV Mainz 05 goal kick. Throw-in for SC Freiburg close to the penalty box. 1. FSV Mainz 05 will need to be alert as they defend a dangerous free kick from SC Freiburg. Sven Jablonski signals a 1. FSV Mainz 05 throw-in in 1. FSV Mainz 05's half. Goal! 1. FSV Mainz 05 extend their lead to 2 - 0 through Jean Philippe Mateta. Jean-Paul Boetius with an assist there. Throw-in 1. FSV Mainz 05. Jean Philippe Mateta of 1. FSV Mainz 05 gets in a strike, but is off target. Goal! Jean-Paul Boetius gives 1. FSV Mainz 05 a 1 - 0 lead. Amir Abrashi (SC Freiburg) is given an opening but the shot is blocked by a defender. SC Freiburg have a dangerous throw-in. In Mainz a free kick has been awarded the away team. SC Freiburg's Christian Gunter gets in a shot but it is blocked by a 1. FSV Mainz 05 defender. Pascal Stenzel gets his shot on target but fails to score for SC Freiburg. SC Freiburg push forward through Vincenzo Grifo, whose finish on goal is saved. SC Freiburg's Pascal Stenzel misses with an attempt on goal. Sven Jablonski signals a free kick to SC Freiburg. It is reported that 27305 spectators are in attendance today. Alexandru Maxim (1. FSV Mainz 05) is not on the pitch at the moment but still receives a yellow card.